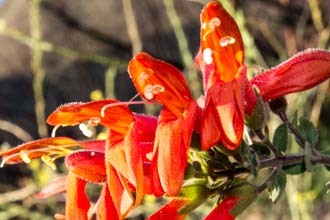 Showy Penstemon, Notable Penstemon - Penstemon spectabilis is a native Perennial herb found in southern California and parts of Baja California. 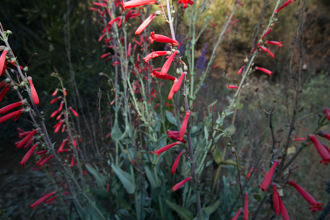 Chaparral, scrub, and woodlands are the plant communities you would expect to find this plant. The common names like Showy and Notable should prepare you for a tall (up to four feet) and spectacular flowered plant with blue to purple flowers. This plant is similar to what you would find in a garden -flowers that call out for attention. 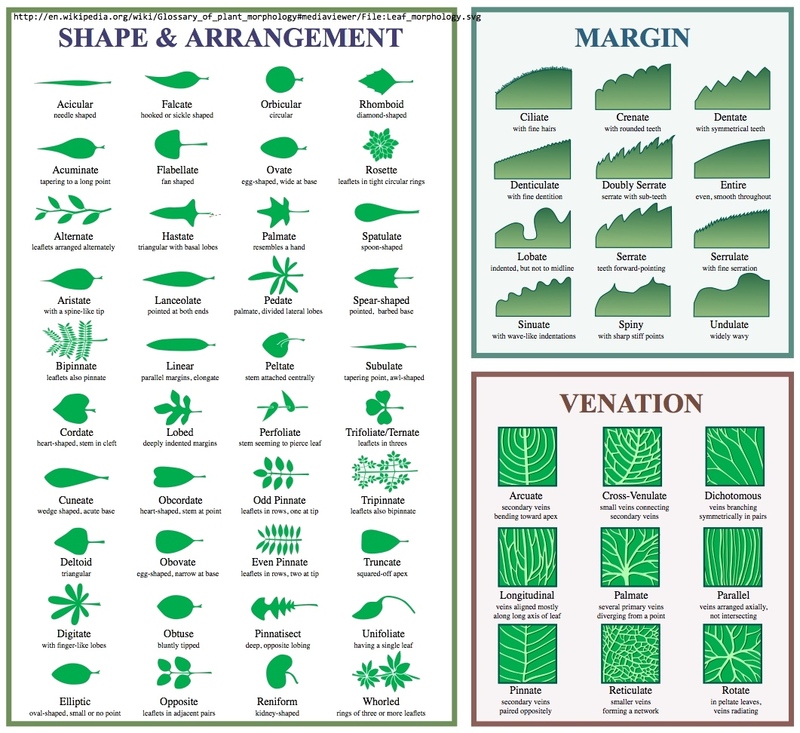 Several Nurseries sell seeds and you can find web pages discussing how to grow this plant from seed. Blooming period is April to May with flowers that range in color from blue to purple to lavender. Growing from long, branched stalks that tower over the leafy part of the plant, the flowers are about 1 to 1 1/2 inches long and 1/2 inch wide. 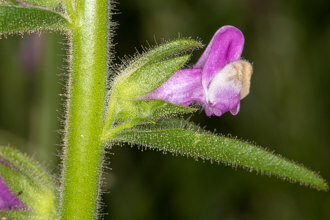 Fused green sepals (1/4 inch long) contain a tube of fused petals. The petal tube expands into a larger throat with an upper and lower pair of lips. The upper lip is 2-lobed and the lower lip is 3-lobed - typical for Penstemon and other plants in the Plantain family. 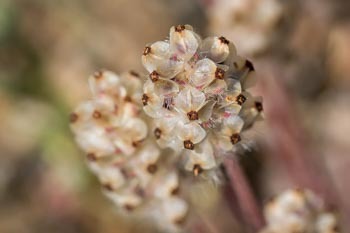 Look into the flower and you will see four stamens, whose filaments appear to provide support for the Corolla's roof. 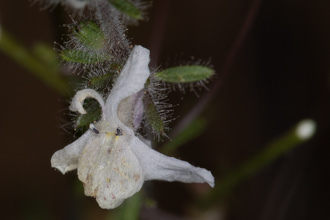 On the floor of the Corolla is an additional sterile stamen that appears to function as a divider or a guide to direct pollinators towards the nectary. 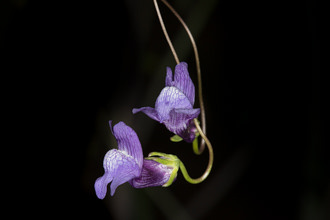 A pistil, with its globe shaped stigma, curves down from the ceiling. 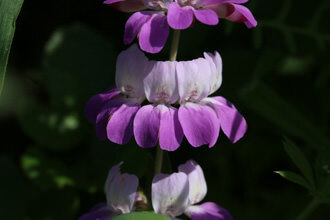 Penstemon is said to come from the Greek pente, “five”, and stemon, a “thread or stamen”. 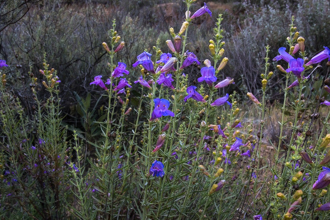 Penstemons have five stamens, one of which is sterile and different-looking (a staminode). According to The Jepson Manual, the name means “almost thread”, from the Latin pene, “almost”, and is based on the appearance of the staminode. The species name, spectabilis, is from the Latin and means “showy”, which gives us the common name of this species with such showy flowers. Last modified: October 04 2017 06:21:00.